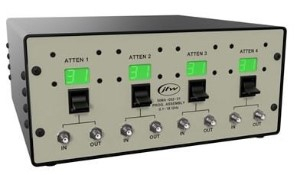 JFW model 75PD-188 F is a 11-way resistive divider/combiner that covers the frequency range DC-2150 MHz. It has 75 Ohm F female RF connectors. The unit has 12 total ports that are internally connected using a resistive star configuration. This design is ideal for testing 75 Ohm cable equipment that needs to communicate with each other over a 75 Ohm coax network. The star design is bidirectional allowing multiple 75 Ohm devices to communicate with each other with equal loss between all devices. 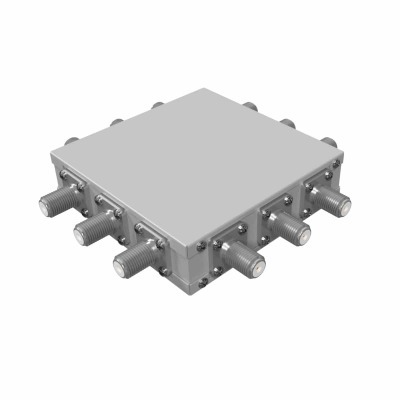 JFW model 50BA-032-31 SMA is a 4 channel attenuator assembly that covers 0.1-18 GHz. Each channel consists of a solid-state programmable attenuator with attenuation range 0 to 31dB in 1 dB steps. 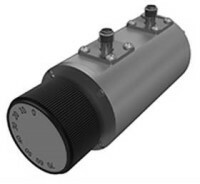 Each attenuator can be controlled individually or as a group. This benchtop attenuator assembly is remotely controlled via Ethernet/RS-232 and manually via momentary toggles on the front panel. The HA7062C is a fully integrated phase noise analysis system. It utilizes the same core engine from our model HA7402C along with a pair of high performance HSX Series RF Synthesizers as the test signal LOs. The stability of the agile synthesizers operating as LO sources for the high speed, cross correlation core enables an extremely reliable phase noise analyser. 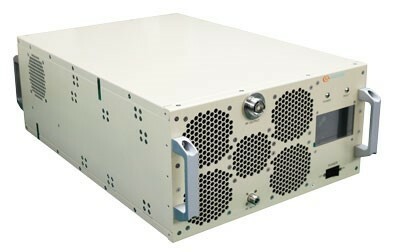 AMP2065A is a Solid-state, 6-18GHz, 200W CW, 53dB System. This Class AB linear State of the Art C & W Power Amplifier features an instantaneous wide-band GaN design with built-in protection circuits for high reliability and ruggedness. 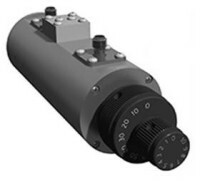 It is available with Optional Digital Control & Monitoring and Local/Remote Interfaces. It is suitable for all single channel modulation standards. Other typical applications including TWT replacements, EMI/RFI, EW, SATCOM, and Lab use. Synergy Microwave Wide bandwidth frequency synthesizer The KFSW300600-100 tunes from 3000-6000 MHz with 1 MHz steps locked to an external reference frequency signal of 10 MHz. The reference frequency settings can be either factory or field reprogrammed to accept frequency input reference signals from 10 to 150 MHz. This versatile synthesizer operates from +5V and +20 Vdc supplies and comes plug-and-play ready with GUI software to run from a USB port for fast product integration and efficient time to market. The synthesizer is housed in a compact SMA connectorized package that measures 2.75 x 2.0 x 1.0 inches (LxWxH). This synthesizer offers good phase noise performance and is ideal for applications in wideband signal sources from laboratory to test and measurement equipment applications. The DCSR500-8 is a low noise VCO operating at 500 MHz and is excellent for use as a high frequency reference clock. This oscillator features a tuning sensitivity of 1.1 to 1.7 MHz/volt for 0.5 to 8 volts applied to the tuning port. It exhibits exceptional low phase noise of -125 dBc/Hz at 10 kHz and -170 dBc/Hz at 10 MHz offset, from a planar resonator construction for good stability over temperature and vibration. The output power of +4.5 dBm minimum comes from a bias requirement of only +8 volts at 44 mA (max). The second harmonic is suppressed by 38 dB minimum. The package size is 0.5” x 0.5” x 0.195” (L x W x H) and this VCO is RoHS compliant. The surface mount synthesizer model LFSH196225-50 delivers phenomenal performance from a single +5 volts supply. It offers exceptional phase noise of (-83dBc/Hz @ 1 kHz, -96dBc/Hz at 10 kHz offset, and -127dBc/Hz at 100 kHz.). The factory preset step size is 500 kHz and delivers +4 dBm (min.) from a buffered output with typical 75 dB of spurious suppression. All communications are managed via an easy plug-n-play programmable format. The practical small package of 1.25” x 1.00” x 0.23” makes it easy to fit on any project.RoHS compliant. Synergy Microwave Wideband 4-Way Power Divider The DQS-30-500 The SDL-120 is a RoHS surface mount 4-Way power divider operating in the frequency range of 20 to 400 MHz. 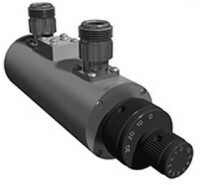 This device combines wide bandwidth and high performance in a compact size, 0.300” x 0.385” x 0.200” (L x W x H) over an operating temperature range of -40 to 85°C. Product features include an input power of 1 Watt (Max. ), an insertion loss of 1.4 dB (Typ. )/1.8 dB (Max.) above the theoretical split loss, an isolation of 20 dB (Typ. )/17 dB (Min. ), an amplitude unbalance of 0.50 dB (Typ. )/0.75 dB (Max.) and a phase unbalance of 3° (Typ.) in the frequency band of 200 to 400 MHz with better performance on the lower part of the band. The Exodus Advanced Communications AMP1064 amplifier module covers the entire instantaneous 20-6000MHz frequency range at 20W CW minimum and 25W CW typical with flatness of less than 4dB peak to peak. Using State of the Art GaN devices and operating from a 50VDC source at less than 3Amp consumption this module is suitable for use with all single channel modulations standards and applications requiring high power and ultra-wide band coverage. It has built-in protection circuits, high reliability and ruggedness. Typical applications include High Power Testing, EMI/RFI, EW and Communications. Introducing JFW's newest family of manual, rotary attenuators... now offering more attenuation than ever before at 3 GHz and beyond. The single-rotor, 50R-397 is DC-3GHz with 0-70dB in 10dB steps; while our bench-top assembly, the 50BR-147 allows for up to 110dB in 1dB increments. This family also includes two versions of our versatile dual-rotary attenuators, which can be easily integrated into RF systems for OEM or test applications. 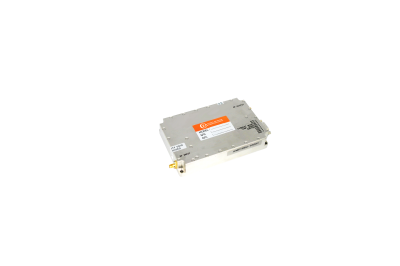 The 50DR-143 offers 0-80dB x 1dB of attenuation from DC-3GHz and the 50DR-141 goes all the way from DC-3.6GHz with a dynamic range of 0-40dB in 1dB steps. 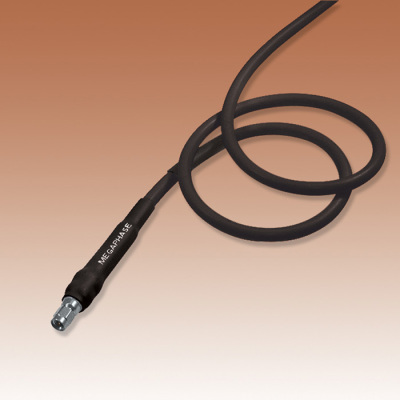 MegaPhase Thermal Vac test microwave test cables are manufactured specifically for customers testing space and airborne systems and components in a variety of severe environments including high bay, thermal vacuum chambers, thermal shock, or any application requiring thermal stability. The AMP1147 is a 500 to 6000MHz, 10 W, 40 dB, 28 V module. This class AB linear state of the art solid state high power amplifier features instantaneous ultra-broadband GaN design in a small form-factor, lightweight aluminium housing, and built-in protection circuits for high reliability and ruggedness.